Linkplay’s director of PR, Linda Ferguson, and vice president of sales and marketing, Mark Zadeh, met with numerous consumer, technology, business, and trade press at Pepcom’s Digital Experience press event in San Francisco, on May 18th. Reporters were eager to learn about our turn-key Wi-Fi audio solution integrated with Alexa Voice Service, as well as have us answer questions about future technology trends related to AI and competing voice technologies. More than 100 reviews and astounding 4.5 stars on Amazon! Check it out here! Check it out, Amazon Alexa on SNL! Linkplay is riding the wave! To meet the growing demand for Powered by Linkplay Wi-Fi audio solutions integrated with Alexa Voice Service, we have expanded our team. Please meet our distribution and manufacturing sales representatives: Parts Express International, covers the U.S. and Canada, Firefly Technology serves the UK, Germany, Spain, France, Austria, Switzerland and Indesmatech.com provides sales coverage for Denmark, Sweden, Norway, Finland, and the Baltic States. All of these companies are well established in their respective markets. Currently Alexa Voice Service is available in the U.S. Germany and the U.K. As AVS expands into other regions our sales reps are well positioned to support your integration requirements. If you are a U.S. speaker or consumer electronics brand and want to discuss building an AVS product with less than 5,000 units per year, please contact Judd Baker at juddb@parts-express.com. Additionally European customers interested in partnering with us, please contact Tony James, tjames@fireflytech.com or Soren Manicus, sma@indesmatech.com. Want to bring an AVS Wi-Fi audio product to market in the next six to twelve months with the most cost effective solution, with a trusted partner and a proven technology? Please contact Alexa@Linkplay.com or Mark Zadeh, Vice President of Sales and Marketing for Linkplay at Markz@Linkplay.com. 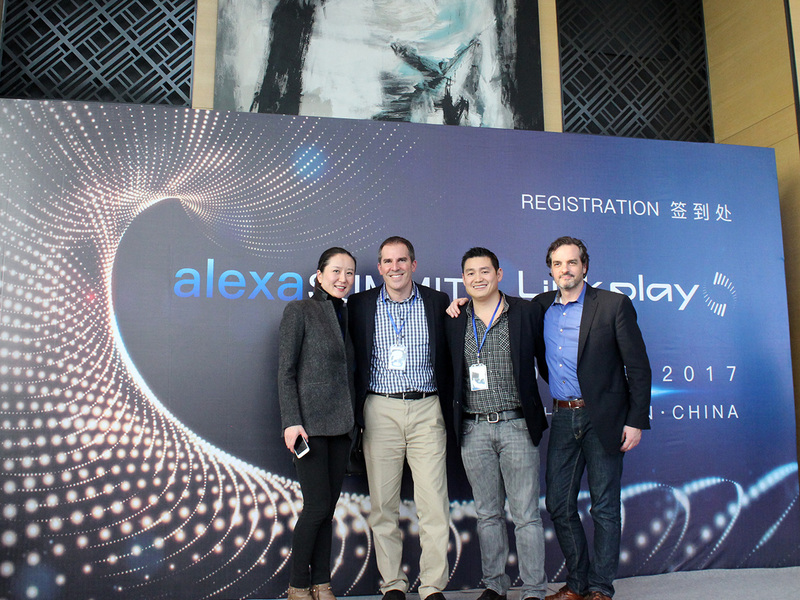 Linkplay and Alexa teams joined forces this past month at the Hong Kong Electronics Show to demonstrate the latest advancements in our turnkey Wi-Fi audio platform integrated with Alexa Voice Services. There was overwhelming excitement from speaker and consumer electronics brands wanting to develop Powered by Linkplay products given our proven solution and fast time to market. Lifeng Zhao, CEO of Linkplay Technology spoke at the Round Table with other industry CEOs. Check out the article below! The appetite and momentum for voice activated assistants in Wi-Fi speakers and smart home devices are skyrocketing. 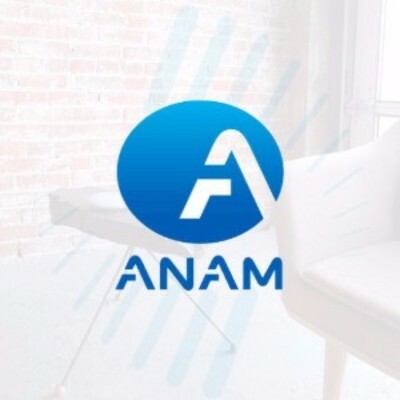 To support the ever-growing demand, Linkplay recently announced another strategic ODM relationship with ANAM Electronics. This is exciting because it expands the category by addressing the needs of customers at the higher end of the A/V receiver and speaker market. In other news, Amazon’s Alexa Voice Service (AVS) officially launched in the UK and Germany at the end of January. We are excited to report that several of our speaker brand customers are in the process of rolling out Powered by Linkplay products in those countries. Now more consumers than ever will have the pleasure and convenience of using AVS to listen to music, news, order food, check weather forecasts, order products and check their commute to work all with the benefit of high resolution, lossless audio devices. ANAM Electronics Announces Partnership with Linkplay Technology! We are experiencing unprecedented demand for Powered by Linkplay solutions with speaker and device manufacturers, technology partners, music streaming content providers, and the Amazon Alexa developer community. And the press coverage surrounding our announcements and events is being reported by industry media in a positive light. To our current partners, thank you for trusting us with your business. We are relentless in our passion and pursuit to offer the highest performance, Alexa Voice Service, music streaming and app packages, with fast time to market and cost effective price points. We’ve developed multiple modules that greatly scale the number of available AVS devices for end consumers. And, we are leading the audio speaker category with the most Alexa enabled speaker products representing five brands with plans to deliver many more smart home devices in 2017. If we can help you with your next project, please contact us at Alexa@Linkplay.com. Journalists Take Note – Read All About it! Today a speaker is not just a speaker—it’s a connected device we use to play music when we want, where we want, and from whatever service we prefer. New cloud-based, streaming media providers have given us greater control over our music libraries, creating magical and memorable experiences every time we hit “play”. More than ever, convenience matters, and that’s where Linkplay excels. Linkplay is a turnkey Wi-Fi audio solution provider that works with device manufacturers to build connected speaker products at various price points and for a growing number of use cases. 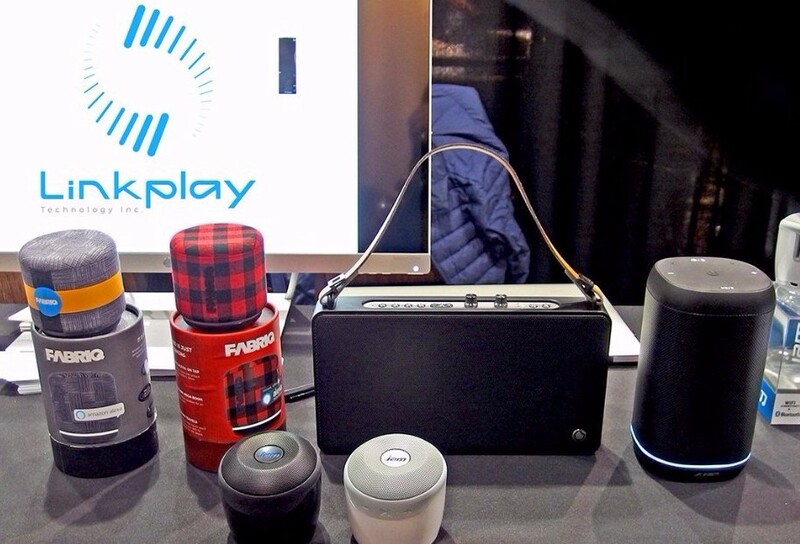 Whether you want to build a high-end product for the home or a durable portable speaker for camping trips, Linkplay offers customizable product solutions, complete with the latest technologies, to meet your needs. In November 2016, we worked with Linkplay to introduce its turnkey Wi-Fi audio solution with an Alexa Voice Service (AVS) integration. The solution enables speaker brands and OEMs to quickly and cost effectively launch Wi-Fi speaker products with access to Alexa. In the months since launch, Linkplay has brought five portable speaker products with Alexa to market. 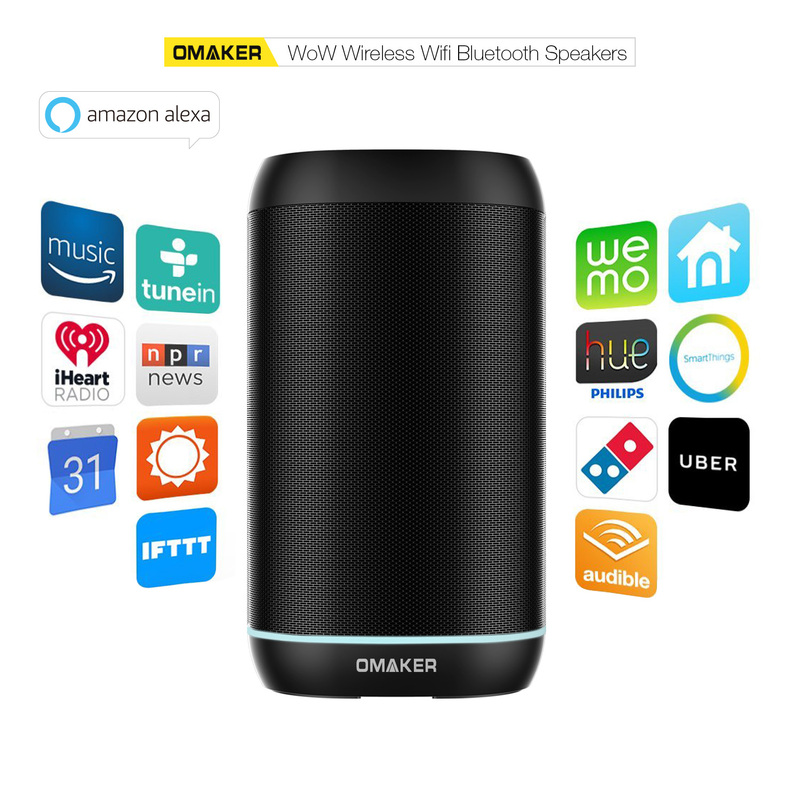 Its most recent launch, the Omaker WoW, is the first hands-free device, and represents Linkplay’s growing expertise in enabling voice-powered interfaces on speaker products. Linkplay is now focusing heavily on voice user interface (VUI) design and Alexa, building out a suite of technologies and processes to help its customers integrate conversational AI and hands-free voice control into their connected products. Anyone familiar with product development knows that time-to-market is a crucial metric. Linkplay has helped a growing number of speaker manufacturers and OEMs build and launch products with Alexa in under six months, a significant accomplishment in and of itself. But perhaps more important for the manufacturer is how Linkplay designs customized solutions to get a product to market. According to Zhao, Linkplay recognizes that not all audio devices are created equally, so the technology inside should be adjusted to support these differences. Beyond providing brands and OEMs with Wi-Fi connectivity and access to streaming media, the company plays a crucial role in identifying hardware-based solutions to streamline production and keep costs down. Linkplay offers partners a number of resources to get started, including reference designs and schematics, product design guidelines, standard software and mobile applications, toolkits for testing and debugging, self-test suites, and highly customized mobile applications. Once a partner has defined their requirements and design, Linkplay works with the OEM to add connectivity to their products. The company’s Wi-Fi and DSP modules enable devices to access AVS, as well as streaming media providers such as Amazon Music, TuneIn, iHeartRadio, Spotify, TIDAL, and Napster. 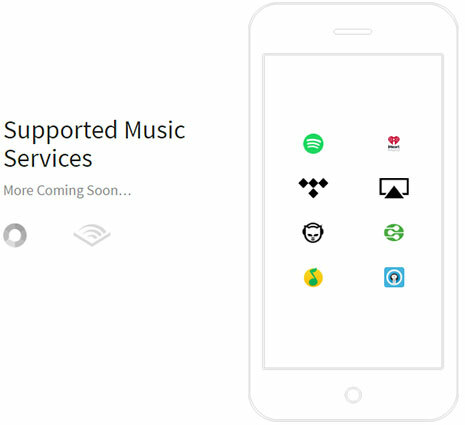 Additionally, these modules enable AirPlay, DLNA, Spotify Connect, and QPlay protocols. The built-in Alexa experience allows customers to ask Alexa for weather reports, traffic updates, Flash Briefings, access local information, control smart home products, and enable more than 8,000 Alexa skills. Throughout the development process, Linkplay acts as the certification proxy. Linkplay ensures the OEM’s product meets Amazon’s UX and functional guidelines and hands-free acoustic requirements. Within these processes, Linkplay recommends mic array placements, form factor design, integration use cases such as push-to-talk or hands-free, LED requirements, and more. 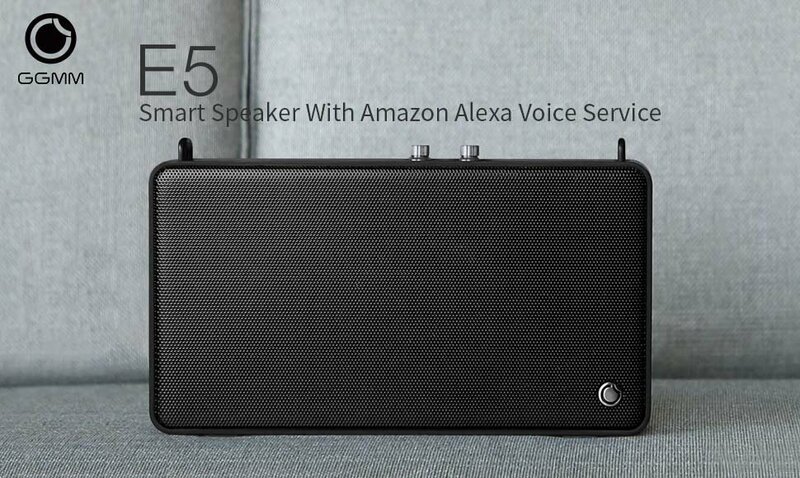 When Omaker came to Linkplay with the idea for a hands-free speaker with Alexa, Linkplay worked with Amazon to identify the appropriate mic array and wake word engine to fit the budget and form factor. Using the Conexant AudioSmart 2-Mic solution and Sensory’s TrulyHandsfree wake word engine, Linkplay helped Omaker design a high-quality product at an affordable price. Amazon announced the Conexant 2-Mic AudioSmart Dev Kit in December 2016. With a Wi-Fi solution from Linkplay and a recommended reference solution from Conexant, Omaker was able to build and announce its WoW speaker in time for CES 2017. It is this type of speed-to-market that makes Linkplay a valuable option for many OEMs. 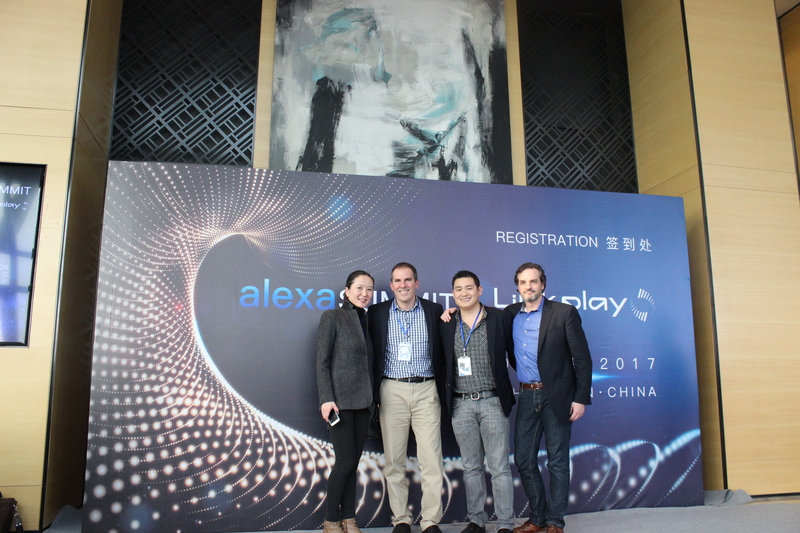 While Linkplay has enabled five Alexa products in-market today, Zhao says that’s only the beginning, and the company is off to a fast start in 2017. Linkplay has made it easy for brands to build and launch connected products with Alexa. In less than three months, the company has developed a solution that will greatly scale the number of devices with Alexa available to end consumers. Reflecting back on its core mission of making it more convenient for consumers to listen to music when, where, and however they want, Linkplay’s desire to delight its customers, focus on deepening business relationships, and embrace new technologies has helped the company to exceed expectations without any sign of slowing down. Contact Linkplay by email if you’re interested in building a product with the “Powered by Linkplay” solution. New to voice user interface design? See how the technology works by building your own Amazon Alexa prototype for Raspberry Pi. What is Linkplay? They create the Wi-Fi ecosystem that links content streaming partners to audio brands. They also provide a complete Wi-Fi audio solution that includes, software, Wi-Fi modules and content integration in one central app so you can focus on building the latest innovative Wi-Fi enabled speakers for your consumers. 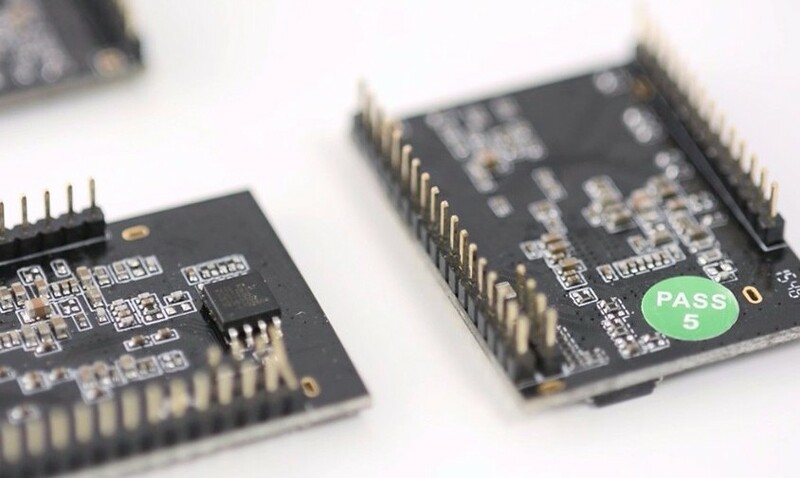 The DAC chip currently supported via firmware the Wolfson WM8918 / WM8960 for 24-bit/96kHz sound quality. Linkplay is excited to introduce “Powered by Linkplay,” a turn-key audio solution that comes with an Alexa Voice Service (AVS) integration. With “Powered by Linkplay,” OEMs now have a quick and cost-effective way to launch Wi-Fi speaker products with Amazon Alexa. Linkplay Technology, a leading Wi-Fi audio solution provider, is proud to be one of the first audio platforms approved for integration with Alexa Voice Service for hands-free voice recognition capabilities with its Wi-Fi audio platform. The smart audio solution provides AVS integration, global streaming music content integration, app and cloud development, and multi-room speaker capabilities. 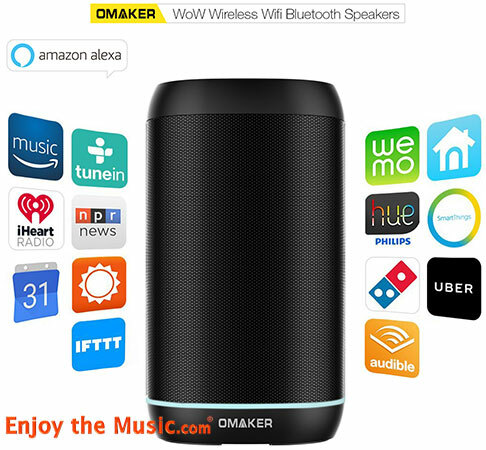 The initial product incorporating the hands-free technology is Linkplay customer, Omaker with the WoW portable speaker. It is one of five Powered by Linkplay AVS certified speakers being demonstrated at CES Unveiled and in suite 30-121 in the Venetian Hotel, during CES January 5-8, 2017 in Las Vegas, NV. WoW will be available exclusively through Amazon.com starting in mid-to-late January. To bring this solution to life, Linkplay utilized Conexant’s 2 microphone solution with Sensory’s Alexa wake word technology. The integration with AVS makes it simple, cost effective, and fast for speaker manufacturers and ODMS to bring devices with hands-free capabilities to their customers. 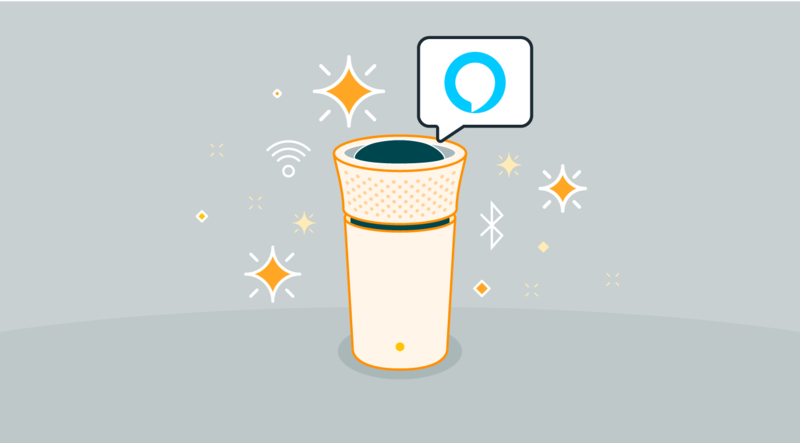 Optimizing far field technology, the Alexa wake word can be activated from several meters away, anywhere in the room – even if the music is playing or people are talking. Linkplay makes it possible for speakers to be wireless and hands-free with consumers simply asking Alexa, through multiple Wi-Fi speakers, to play their favorite music, turn on the lights in the living room, provide news, traffic and weather reports, set alarms, and even order food. As it relates to music specifically, Linkplay’s hardware and software speaker solution provides access to millions of songs through services such as Amazon Music, Audible, TuneIn and iHeartRadio, Spotify, TIDAL, Napster, and many others and operates with AirPlay, DLNA, Spotify Connect, and QPlay protocols, making it seamless for companies to bring music to their devices. 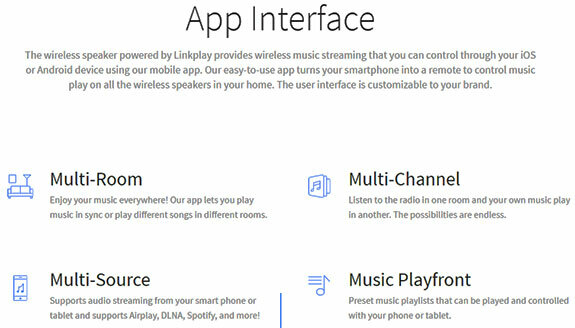 Specializing in interruption-free music streaming from any iOS or Android device to speakers over a Wi-Fi network, Linkplay’s solution eliminates the need to connect a phone to the speakers, allowing users to stream music without interference from calls or texts. In addition, Linkplay’s features include a holistic audio package with customized hardware, firmware, mobile app and cloud server for OTA and Amazon Alexa (with wake-up mode). Also, the platform offers multi-channel wireless stereo pairing, as well as left and right channel playback on two or more Wi-Fi speakers simultaneously. The multi-source functionality supports audio streaming from the cloud, NAS, local music (from phone or tablet), USB disk/TF card or third party app and offers support for AUX-in, SD/USB, and Bluetooth re-transmission to multi-room via Wi-Fi. Media may drop by CES Unveiled, table 129 on January 3rd at the Mandalay Bay Hotel or schedule a meeting in our suite at the Venetian Hotel to receive a demonstration. Linkplay Technology, headquartered in Silicon Valley, CA, was founded by a global team of hardware and software engineers, business executives, and wireless audio experts. Linkplay’s patent-pending technology is a turn-key Wi-Fi audio platform with global streaming music content integration, app and cloud development for speaker brands and ODMs. Technology partners include original design manufacturers (ODMs), component suppliers and key technology investors. The built-in Alexa experience allows customers to ask Alexa for weather reports, traffic updates, Flash Briefings, and to play their favorite music. Linkplay also gives manufacturers the ability to offer end users access to a range of streaming music providers, including Amazon Music, iHeartRadio, Spotify, TIDAL, Napster, and more. Best of all, “Powered by Linkplay” makes it easy to pair multiple speakers together to play music throughout the home. OEMs that use the Linkplay audio solution to power their speaker products also gain access to thousands of Alexa skills, new features and capabilities through regular AVS API updates, and smart home controls with partners such as Philips Hue, Belkin Wemo, SmartThings, Insteon, and Wink.